On 11.01.2019 Don Bosco Navajeevan, Visakhapantam and Homelink Network, Vijayawada Hub, conducted the Training Programme on “Excellence in Documentation" (Making Documentation as one of the life lines of the Organizations) at DB Navajeevan, Vizag, the Resource Person is Rev. Fr. Thomas Aquinas, Joint Secretary, National Forum for Young at Risk, New Delhi, he explained about the 1) Need of Documentation, 2) Use of Documentation for Organization, 3) List of JJ Registers for CCI’s and 4) Reports and Analysis, 20 members are participated from Seven NGOs. 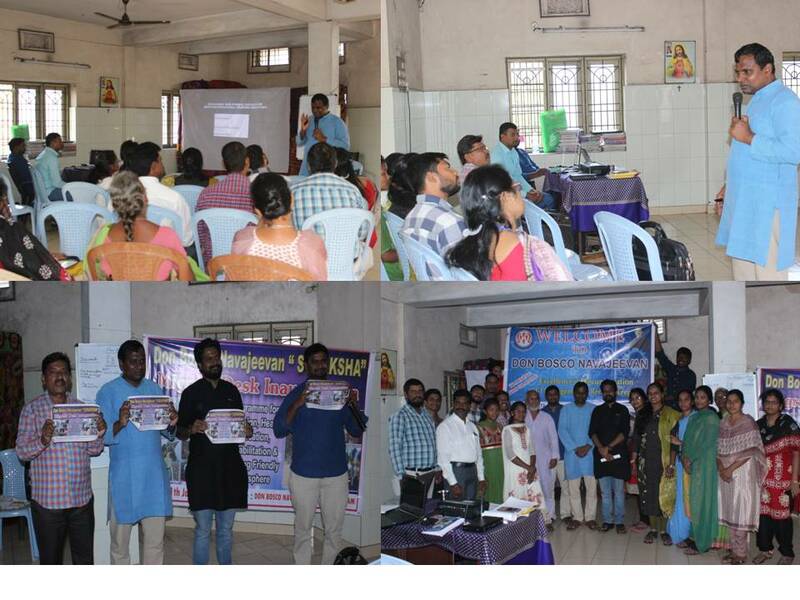 Afternoon Mr. P. Jayaraju, Migrants Desk Coordinator presented the situations of Migration Families in various cities in Andhra Pradesh and also Inaugurated the Suraksha Migrants Desk and Launched the Poster of Migrants by Fr. Thomas Aquinas, Mr. Ganesh Kumar, Founder of Generation Yuvaa, Fr. N. Ratna Kumar, Director, DB Navajeevan, Vizag.